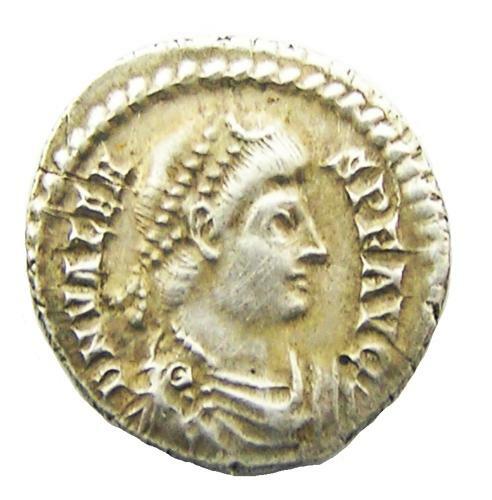 This is a fabulous ancient Roman silver Siliqua of emperor Valens, dating to 367 - 375 A.D. This coin was minted at Treveri (Trier, Germany), mintmark TRPS. It had traveled across the English Channel, being discovered by a metal detectorist near Bristol.